Collectively, the stories in Accidents illuminate patterns and trends. 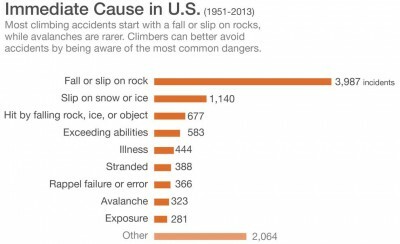 “People will often say, ‘The majority of these accidents happen to inexperienced climbers,’ but that’s not the case. 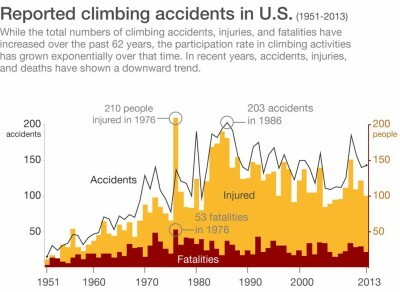 The majority of accidents happen to experienced climbers,” Williamson says. After 40 years of reviewing accidents, Williamson knows the most common mistakes climbers make. He points to several mental traps, factors that might distract a climber from looking at a situation from a safety-first perspective. One is trying to please people. Another is feeling tied to a self-imposed schedule. Both of these points might apply to a guided party that included several Iraq veterans on New Hampshire’s Mount Washington. The group continued despite being warned by a ranger of the risk, and three of the climbers were swept away by an avalanche (they were later rescued). The most climbing fatalities ever occurred in 1976 — the year of the U.S. bicentennial, when many inexperienced teams attempted ascents of Mounts Denali and Rainier in honor of the occasion. 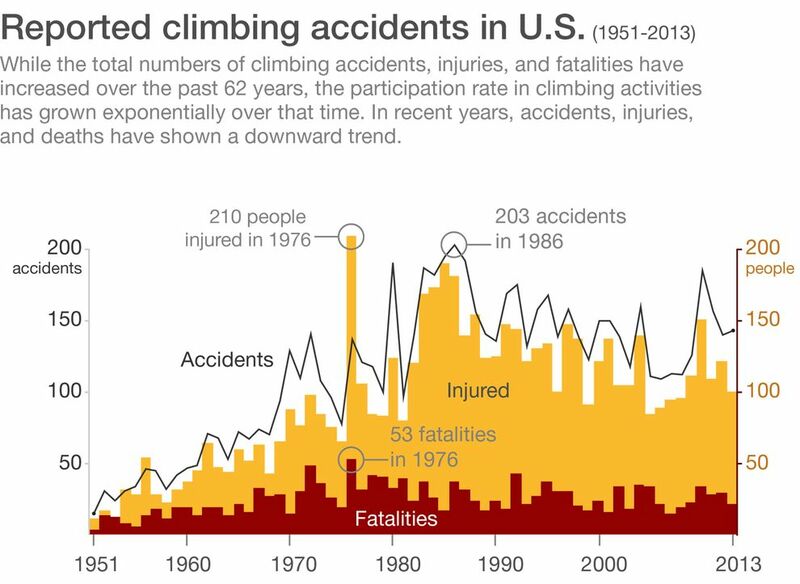 “A lot of accidents happen to experienced climbers simply because they are rushing to try to make it to the restaurant on time,” Williamson says. He’s considering writing a book that would condense his knowledge into easily digestible lessons. As for the publication he has done so much for, Williamson hopes it won’t change too much. “I hope that the continuing focus is on case studies, and I hope it doesn’t fall in the trap many magazines have fallen into. Some publications have so much distraction going on each page,” Williamson says.